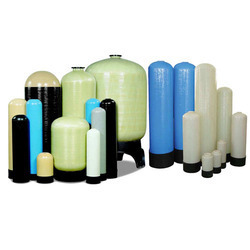 Pioneers in the industry, we offer pressure vessel, frp vessels multiple types, frp vessels for chemical industries, frp vessels for water plant and ss vessel w mpv from India. Quantity Of Membrane 8 Nos. 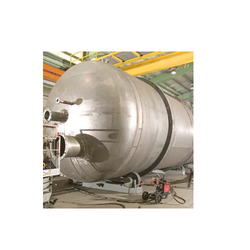 Owing to our vast experience in the industry, we are engaged in manufacturing, trading and supplying a range of Pressure Vessel that cater to the needs of worldwide clients. These pressure vessels are closed container designed to hold gases or liquids at a pressure level different from the existing pressure. Sturdily constructed using finest grade material, our range of vessels are precise in construction, high in performance and have better durability standards. In order to serve quality to our clients, we also make sure that our vessels are in tandem with international quality norms. We hold specialization in manufacturing, supplying and trading FRP Vessels for Chemical Industries that are used in filtration, ion exchange process, membrane separation technology and chemical treatment. We make these vessels available in several specifications to suit the diverse requirements of the customers. Taking quality as our prime concern, we are engaged in manufacturing, supplying and trading a wide range of FRP Vessels. Our offered vessels are designed and developed with the support of modern machines and tools that are operated by our team of professionals. Available in different sizes to suit the demands of clients, we offer these products at industry leading prices. Our offered ranges of SS Vessel W MPV are excellently processed at well equipped processing unit. Our SS Vessel W MPV is delivered using customized packaging till client’s door. We have emerged as one of the top most name in the industry for our extensive range of products. 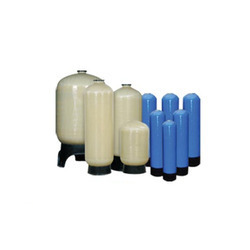 This product is highly acclaimed due to its superior performance and optimum quality. Furthermore, our products are nominally priced in the market.